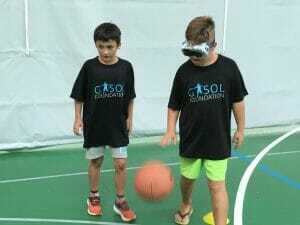 This summer we had the privilege of collaborating, yet again, with the Marianao Foundation in Sant Boi de Llobregat (Barcelona) in a session organized to promote sport values. 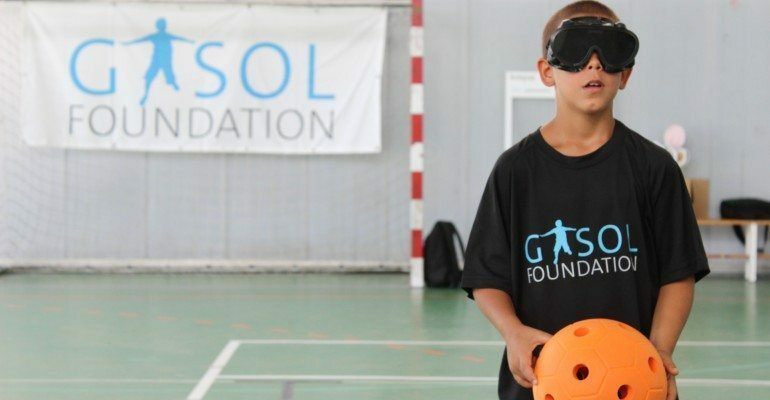 This time around, in collaboration with the Catalan Foundation for Blind Sports, we organized a day of activities for 30 kids from the Casal de Verano, between 8 and 10 years-old. 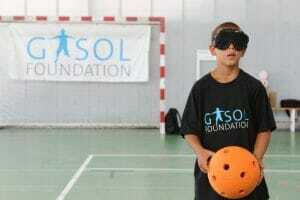 Over the course of the day, the children learned about the challenges faced by blind or visually impaired athletes. Following a talk given by the Foundation, in which paralympic athletes spoke about their personal experiences and the effort needed to overcome societal obstacles, the boys and girls participated in an activity circuit. 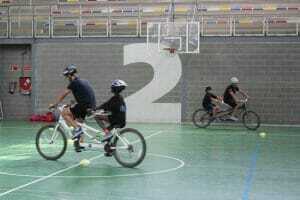 Some of the activities included goalball (the only paralympic sport created for blind and visually impaired athletes, in which two teams of three players each try and score goals by throwing a handball), tandem cycling (bicycles for two people, used by blind and visually impaired cyclists with the help of a non-disabled cyclist, who acts as their guide) and an abilities circuit (basketball and soccer with special glasses which simulate visual impairment). Overall, it was a very comprehensive session in which we were able to promote disabled sports among the children participating, as well as its inherent values (effort, compromise, consistency, sacrifice, teamwork), and thanks to which we were able to offer healthy alternatives to having fun. And to finish off, what better than a portion of fruit and some water to hydrate and recharge our bodies for the rest of the day? 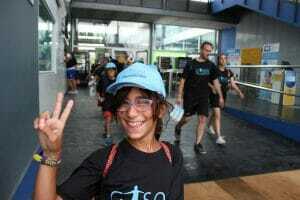 A perfect workshop with an unbeatable combination: healthy habits and teaching core values. All in all, a great success! Family Plus Physical Activity Equals Fun!